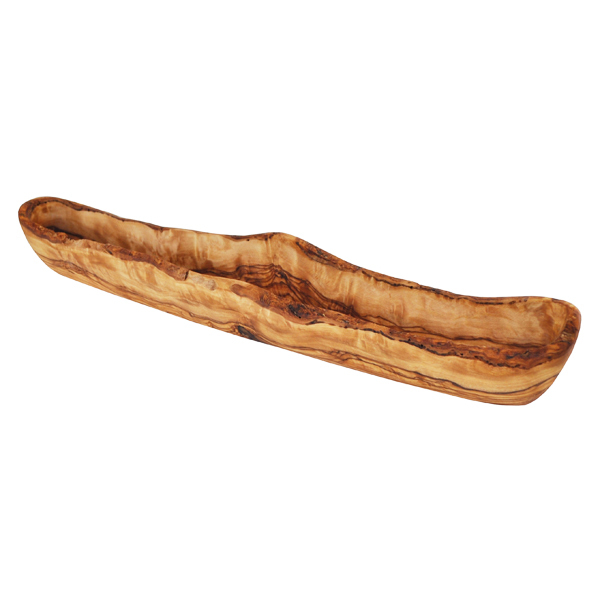 This rustic olive serving dish looks striking on any table. Shaped like a canoe for your olives this olive dish makes a great serving dish which will wow your guests. Rustic in design it features natural olive wood bark and each one has unique edging. 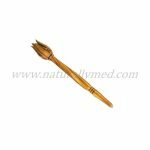 Dimensions approx: length 15″, width 2″, depth 1.75 – 2″. 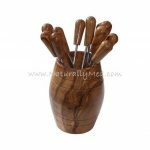 Due to the natural grain of olive wood and rustic design of this olive dish, no two are ever the same.